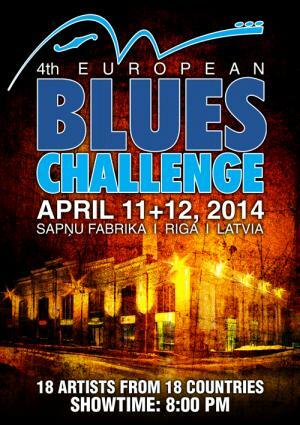 Brussels is truly honoured to have been chosen by the European Blues Union to host the 5th European Blues Challenge. This jubilee competition – organized by the Brussels Blues Society in cooperation with the Brussels Capital Region – will take place on March 13 and 14, 2015 at the Ancienne Belgique theatre. On the opening night, March 12, Brussels will also showcase some of Belgium’s finest Blues and Roots music artists. The opening concert at the Ancienne Belgique will feature the four Belgian representatives who performed at the previous editions of the EBC. Lightnin’ Guy will host the event and welcome Hideaway, Howlin’ Bill (winner of the 1st EBC in Berlin) and Fred and the Healers, the latter act also celebrating their 20th anniversary on the night. Please find all the details on the pages of the EBC section on the right. 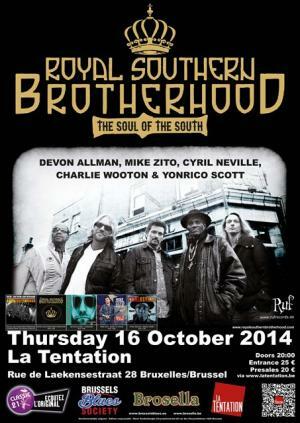 The BBS is very proud to welcome the Royal Southern Brotherhood in Brussels, thanks to our partners La Tentation and Brosella. Presales via La Tentation.